Celebrate Halloween with the Animal Welfare Association! 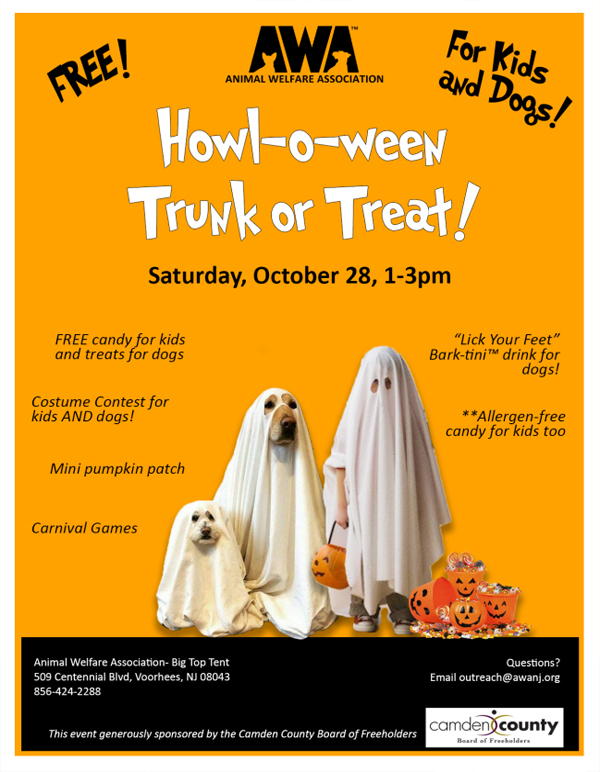 Join us for the Howl-o-ween Trunk or Treat on Saturday, October 28th from 1 PM to 3 PM! Enjoy free candy for kids and treats for dogs, as well as a costume contest for kids and dogs. There will also be a mini pumpkin patch and carnival games to play. Your furry friends can even enjoy a special Bark-tini drink for dogs! This event is brought to you by the Camden County Board of Freeholders.